CNN reports Laptops bring lessons, maybe even peace. It's good to see the One Laptop Per Child project back on track. To me, the most exciting thing about the One Laptop Per Child project is that it dared to challenge educational and capitalistic orthodoxy, offering an authentic platform for true experiential learning. 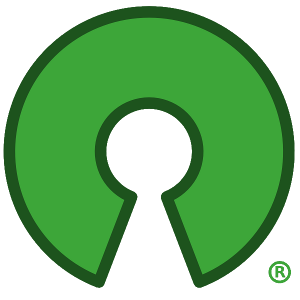 The concept of open source was absolutely essential to the vision, not because kids cannot hack binary code--they do it all the time. But because virtually all proprietary software licenses make real learning--learning through experimentation and discussion--illegal. It makes absolutely no sense to put into a child's hands software that cannot be read, modified, and shared at the very same time when we are trying to teach children how to read, how to manipulate things, and how to share. Last year it broke my heart to see this great project compromise its mission and abandon its core principles and allow itself to be hijacked to promote a proprietary software agenda. But after being set up, knocked up, and stood up, the project seems to have refocused on its original mission, a mission that has education, not corporate interests, at the center. None of this is easy. Absent any corporate interference, the children they want to help have been so badly neglected for so long by so many that delivering any solid results whatsoever is a challenge. Factor in the millions upon millions of dollars that the powerful spend to preserve their grip on power, and surely you will understand how genuinely difficult it is to provide the hope and ministry of freedom. Then factor in the global economic collapse which has made so many people so much less generous with their charity dollars. It's not easy, but it is absolutely vital. I wish them every success.